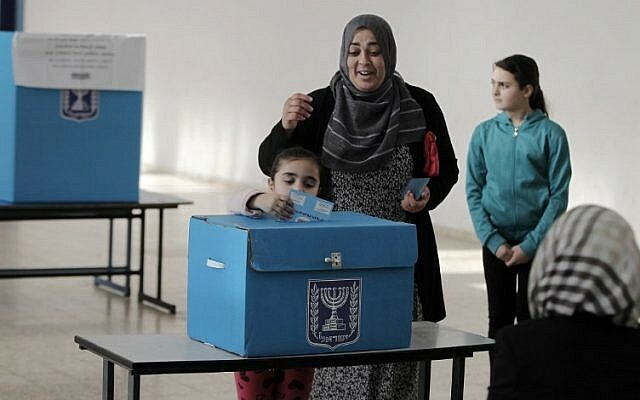 Some 67% of Arab respondents “answered that the State of Israel had no right to be defined as the national home of the Jewish people,” the Israel Democracy Institute survey, released Tuesday, found. 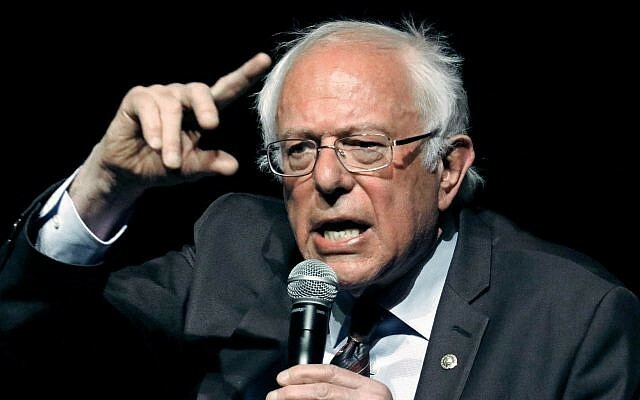 The poll came as Israeli lawmakers are advancing the so-called Jewish state bill to enshrine Israel’s status as a Jewish state in its quasi-constitutional Basic Laws for the first time. 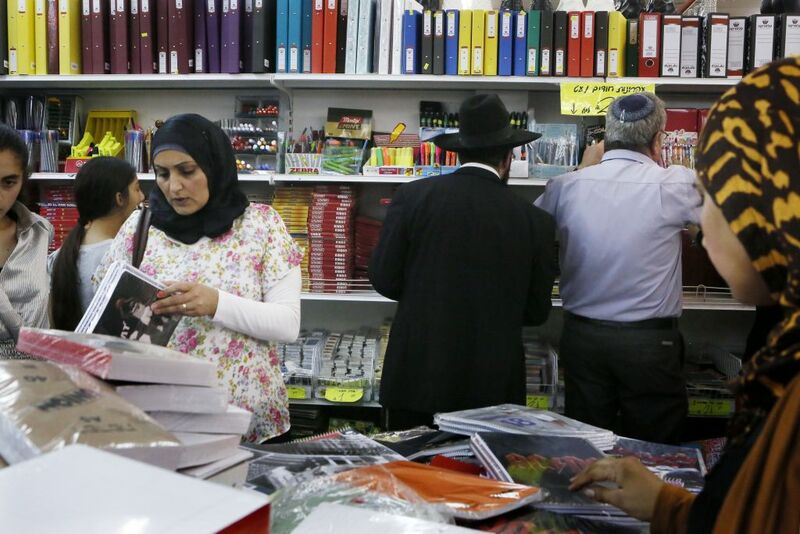 According to the survey, most Arab Israelis feel Israeli — but most Jewish Israelis believe they don’t. It found that most Jewish Israelis (63%) maintain that a majority of Arab Israelis do not feel a part of Israeli society and 68% say one cannot identify as Palestinian and remain loyal to Israel. 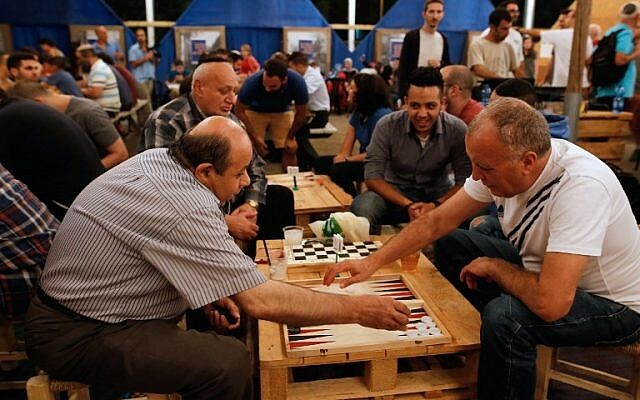 Israeli Arab Abu Riad (L) plays against Israeli David Aviv (R) during a backgammon tournament between Palestinians and Israelis in Jerusalem on August 31, 2016. (AFP PHOTO / GIL COHEN-MAGEN). However, according to the survey, a majority (54%) of Arab Israelis say they do feel a part of Israeli society, and two-thirds (66%) are proud of the country’s accomplishments in such areas as science and sports. 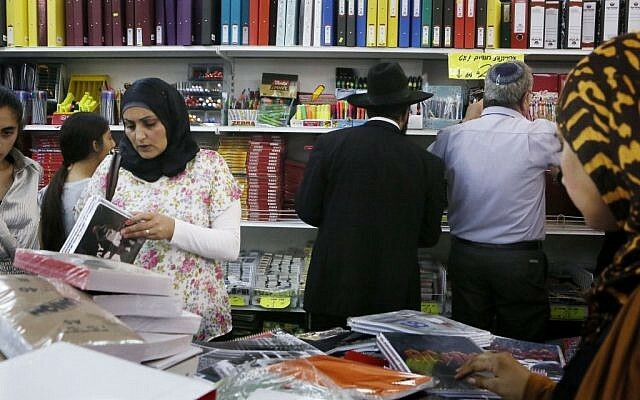 Just 14% of Arab Israelis say “Palestinian” is their primary identity, according to the survey, with most giving their Arab (39%) and religious (34%) identities greater prominence. Though a majority of Jewish Israelis (67%) believe Israel acts “in a democratic manner” toward its Arab minority (compared to 45% of Arab Israelis), a similar number of Jews (64%) said Israel should introduce a comprehensive plan to reduce gaps between the two communities (compared to 90% of Arabs). Some 52% of Jews and 77% of Arabs agreed Israeli governments in the past did not treat the Arabs in a manner equal to its treatment of Jewish citizens. Most Jews (58%) say Arabs should “be given fair and equal treatment in allocating budgets to residential communities.” At the same time, one-quarter of Jewish Israelis said Arabs should not be permitted to buy land in the State of Israel, while 41% said they should, but only in Arab areas. Jewish Israelis are still hesitant to put Arab Israelis in positions of power, according to the poll, with 66% opposing the inclusion of Arab parties in the government or the appointment of Arab ministers and just one-quarter willing to include Arabs in decision-making relating to governance and the economy. Those numbers dropped further still when relating to matters of peace and security, with just 16% of Jews in favor of letting Arab citizens have a say. Most Jewish Israelis (58%) also said they avoid entering Arab residential areas, while only 16% of Arab Israelis steer clear of Jewish residential communities. The study of 1,000 Israelis (500 Arabs, 500 Jews) was conducted in January-February 2017.